My M.O. as an investor is to initiate positions in solid, well-valued companies with a stable dividend. My dividend portfolio currently consists of 18 positions, with a recent addition being Ford Motor Company ($F). So why did I take a more speculative approach and buy this leveraged, lower-paying dividend player? Read on for my analysis of the good, the bad, and the ugly. There are many more stocks seeing significant drop-offs. As a value investor, seeing the prices drastically decreasing on these iconic brands names is the opportunity to get the ‘buy’ button ready, so long as solid. Picking up on this, I decided to take Ford through my dividend analysis process. Is this a company that would normally meet my investment criteria? No, as I believe it is overall higher risk than typical companies in my portfolio and has not been a consistent dividend payer. However, it presented an interesting opportunity to take a more speculative approach within my dividend investing strategy. As a dividend investor, I am all about amassing greater positions through share accumulation and Ford fits the bill. What is appealing about Ford is its lower stock price, the 6.45% dividend yield, and my ability to quickly accumulate shares via DRIP. 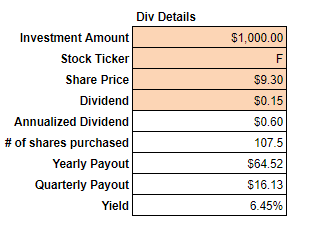 With the 108 shares I purchased, I will be receiving a quarterly dividend payout of roughly $16.13. If all elements remain equal, I will be purchasing ~1.7 new shares of Ford each quarter (assuming the dividend stays in tact). I feel like this proposition is a win-win for two reasons: 1) if the stock price stays low or goes lower, I accumulate more shares, 2) if the stock price increases, I bought in at the right time. 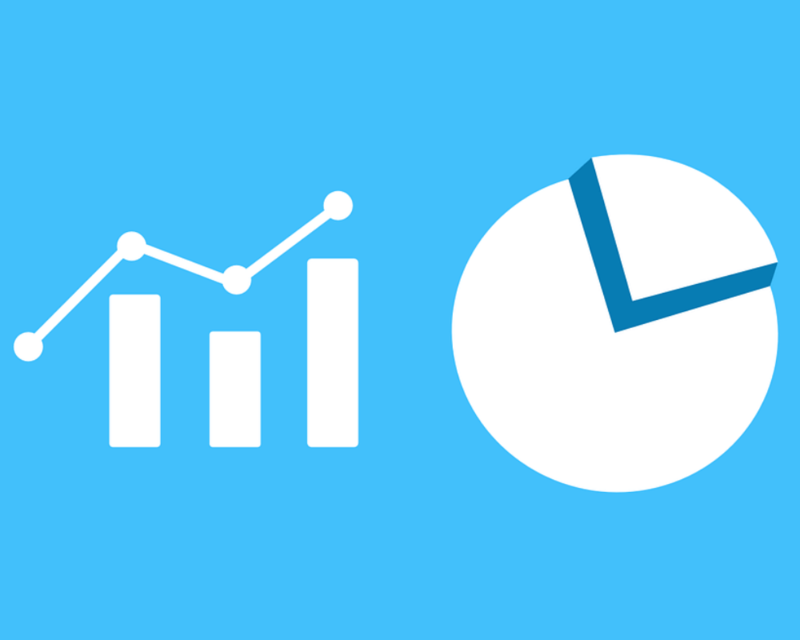 Since the forward dividend income was enough to get me interested, I moved onto ‘The Whys’. As stated above, I like this stock price scenario as I am all about quick share accumulation. The lower the stock price, the more shares I can accumulate through DRIP. The more shares I can accumulate, the quicker my position will build. In the case of Ford, if all else holds equal, I will be buying ~1.7 more shares in the company each quarter when dividends are paid out. A nice scenario for a long-term dividend investor. One of the appeals in this stock is buying into a company with a great brand name which is currently on sale. While I understand why traditional car companies like Ford are being hammered in the era of driverless and electric vehicles, a large part of me still thinks the sell-off is drastically over done and that this purchase of Ford can pay big big dividends down the road. Granted, this company still has a long ways to go before it rights the ship, but being that it is on sale, the investment potential is very appealing. Ford is still a commanding force in the industry and is beginning to expand into EV vehicles. Sure, it might seem a bit late, but considering that Ford still has the top selling vehicle in the US market, it makes sense that Ford has continued to focus on its bread and butter. 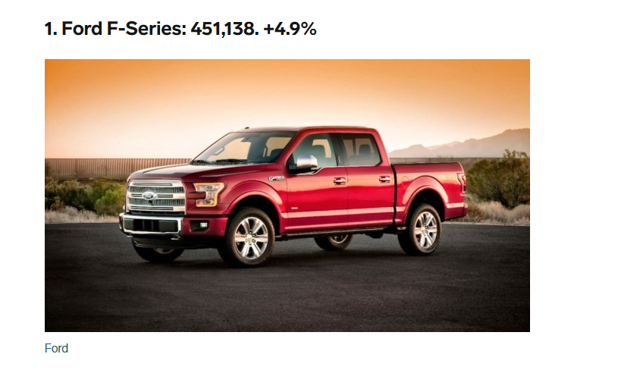 Now, is the trend of a truck as a best seller sustainable? I don’t believe so as the world is shifting to more fuel-efficient and environmentally-friendly driving options. This is why I like to see Ford beginning to transition into other markets, namely EV/hybrid. Now, whether you like them or not, Goldman sees a 30% upside to an investment in Ford. I usually take these with a grain of salt, as I do not know what the ultimate motive is behind these big investment houses. With that being said, a positive, public statement is a lot more compelling than no statement at all. Overall, I see the Ford story very enticing. Now that I see the positives in the whys, I move onto the QuickView. Yes, the company has shown solid profits the past five years. Does the company have a positive working capital? Yes, a quick glance shows CA at $115B and CL at $95B. Is the debt/equity close to or under 1? No, this is the biggest issue with the Ford stock; too much debt. I show the debt/equity ratio at 6.4x. This is higher than I’d like to see and is a possible disqualifier. 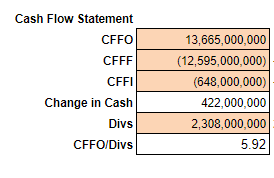 Was the cash flow from operations (CFFO) positive? Yes, I show solid cash flow the past five years, with the most recent year-end cash flow at $18B. Did the company the dividend payment through CFFO? Yes, dividends were $2.6B, which was adequately covered through CFFO. 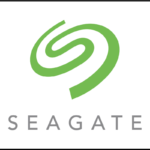 I like seeing this as the company has a lot of debt that it needs to service to remain competitive in the years to come. Here we go deeper into the numbers. I will use the most recently available 9/30/18 10-Q. *In my analysis process, debt and liabilities are interchangeable. Positive working capital is great to see. Since Ford is a company that is capital intensive, I like to see it having a good liquidity position. Since the vehicle market is inventory-intensive, liquidity is important. The Market cap is identical to the equity of the business. This is telling me that the market is basically valuing the company dollar for dollar of equity. I feel like this is a great valuation point for a long-term investor deploy capital. P/E ratio is very low at 5.33x. Granted, the vehicle industry is in upheaval right now, but I do not believe the doom and gloom scenario is there for Ford. I believe it continues on going with adaptations being made where needed. 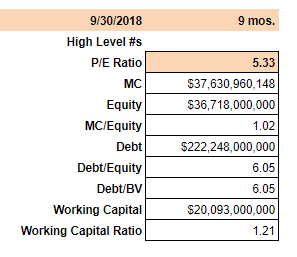 Debt/Equity is concerning at 6x equity. This will be something I want to watch for to make sure Ford is servicing its debt appropriately. Positive cash flow. Ford makes money, simple as that. It shows a nice CFFO the past five years and through 9 mos., has made a monstrous cash flow. Though the dividend is a higher-yield, it is still conservative when compared to cash flow. Normally, I want to have a pretty high dividend, but I am happy that Ford is keeping its dividend conservative. While it did increase its overall debt position slightly, I would rather it keep the dividend smaller for now and use the excess cash flow to pay down debt and lead charges into EV development. Overall, I like what I am seeing in regards to cash flow and valuation. The only trip-ups for me are the high debt levels and whether or not Ford can make it in the coming era of EVs and driverless vehicles. In most instances, I would say this stock is not ready for capital deployment, however, something keeps me engaged in this stock. I’ll take it into the next step: time for the Deep Dive. In the deep dive I go over the 10-Qs and Ks with a fine tooth comb. I am looking for extra due diligence to ascertain whether or not this stock is ready for my investment. An investment in Ford is not without risk. In fact, I consider an investment in this company to be one of the higher-risk plays in my portfolio. So what are the biggest risks facing Ford? Ford has been slower than other competitors in engaging into the EV market. In fact, up until recently, the company has been going the opposite direction of EV, instead focusing on larger vehicles such as SUVs and trucks. While this happens to be Ford’s niche, I wonder how this plays out long-term? To be fair, the company is beginning its foray into the EV/Hybrid markets with an $11B initiative an the goal of having 24 new hybrids and 16 full EVs by 2020. Better late than never? The loans are collateralized by the vehicles themselves and floor room inventory. Overall the aging of the receivables looks pretty good as most of the debt is current and being paid according to terms. This is a really good sign for the company. 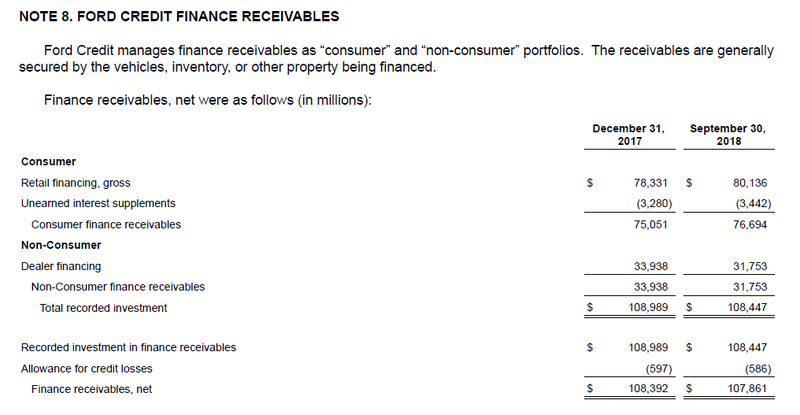 However one area I will be watching which is related to debt, is Ford’s inventory levels. This showed an uptick in 2018, which tells me that not enough vehicles are being purchased by either consumers or dealerships and Ford is stuck ‘holding the bag’ on unsold product. In fact, Guru Focus shows that the days inventory is the highest in the company’s history. This could be cyclical and not material to the overall year or next year, but it will be something be aware of and to keep an eye on moving forward. If Ford continues to produce vehicles but cannot sell to customers or dealerships, that could be signs of trouble down the road, both lackluster demand and in the quality of new customers it is acquiring to make up for higher levels of inventory. Ford also had worldwide unfunded pension liabilities of $6.6B (12/31/17 10-K). I like to see fully funded pensions wherever possible, as I am a believer that these costs can get out of control very quickly, especially if the stock market begins to take a dive. If this scenario happens, the company is hit on two sides; decreasing returns and increasing obligations. In August 2018, Moody’s reduced Ford’s rating to Baa3, which is one level about junk bond status. The agency identifies a declining worldwide market share and difficulties in implementing its $11B restructuring initiative as reasons for the downgrade. The challenge here comes on many fronts, with the most apparent being that Ford’s borrowing costs could go up via higher interest rates. Considering the fed has been increasing interest rates already, this downgrade (and a subsequent downgrade in 2019) could adversely affect Ford’s operations through higher interest costs. Not surprisingly, a trade war with China is bad news for Ford. Already being hit with slowing sales in China, growth could be at a standstill should trade wars increase further in this challenging diplomatic situation. While North America Sales remain somewhat strong, market share has shown a slight decline as well. For a company like Ford, it needs to have its NA stronghold of sales remain in tact; to see the NA region slipping – even slightly – is a concerning trend. However, Ford is undergoing a large initiative at the moment to help right the ship. Time will tell if these efforts can leads to a positive change. 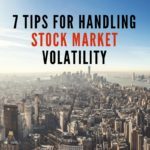 Overall, this stock is a higher-risk proposition, but the value play is at such a level where I feel comfortable taking a speculative position. I am taking a long position, scooping up 108 shares of this iconic American brand and betting on the Ford story. This acquisition brings my annual forward dividend income to $2,575.44. As always, you can follow the progress on my portfolio as I build towards $50,000 in annual dividend income per year. What are your thoughts? Ideas? Opinions? Am I right in this purchase? I enjoy hearing and exploring contrarian views, so let’s get a conversation started today!